To see club events CLICK HERE and you can promote your Rotary event on this Club Events Calendar! To add your event click HERE or contact the district office with details. This calendar is updated around the 1st & 15th each month. The Rotary Club of Boone’s Centennial Celebration is coming up very soon! We would love all District 6000 Rotarians that are able to come help us celebrate 100 years of Boone Rotary, Wednesday May 1st at the Boulders Inn & Suites Conference Center in Boone. The event starts at 5 pm and will include a program filled with all things Rotary while enjoying a nice meal and great fellowship. There will even be a special beer on tap from Boone Valley Brewery to commemorate the occasion. Online sign up is now available at www.boonerotary.com. Just click on the Centennial icon on the home page and it will take you directly to our Centennial page. Make sure you sign up by April 20th to reserve your spot! Please direct any questions to booneiarotary@gmail.com. 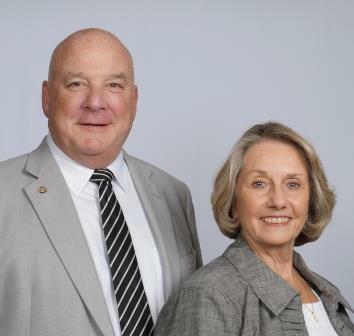 If you will be at the Rotary International Convention in Hamburg Germany, then District Governor Nominee Steve Dakin and his wife Lesley, invite you to the District Breakfast from 7 to 9 am on Monday, June 3! This event will be a great way to kick off your Convention experience! For information and to register click HERE. The session is in Mt. Pleasant, April 6, new date & town! Register NOW the deadline is this Friday, March 29 at 5 PM. We need to have enough to have good and lively discussion. 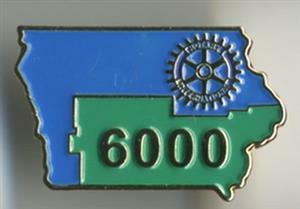 Our district is part of the Heartland Division formed by Rotary District 5650, Southwest Iowa and Eastern Nebraska. $85.00/session and we encourage clubs to seek interested Rotarians that want to participate and to pay the registration fee for their members. Where will this session be held? The Iowa Wild are inviting you to come watch the Iowa Wild take on the Texas Stars in an exciting evening of Hockey, March 29 at 7 PM. Tickets are$15 dollars each and $5 goes back to Rotary District Literacy Programs. Rotarians, your family,friends and coworkers, everyone is invited to come out and enjoy the fun! For questions contact Shane Nester at 515-564-8715. #TheHuntIsOn To purchase tickets, click HERE! To encourage Rotarians and clubs to focus on Rotary’s core value of integrity, and to honor the memory of the late Boone Rotarian, PDG 1954-55 Judge Paul E. Hellwege, District 6000 is asking clubs to nominate one member for the sixth annual District 6000 “Paul E. Hellwege Guardian of Integrity” awards. A nomination form is at this link and the deadline is Jan. 31, 2019. The nominations will be submitted to the District 6000 Vocational Service Committee, and nominees will be recognized at the District Conference. DISTRICT GOVERNOR TOM NARAK'S MESSAGE! Whether your club is a subordinate under Rotary International’s 501(c)(4) group exemption or is independently tax-exempt, the IRS requires that all Rotary clubs in the U.S. file an annual information return. For those clubs whose tax year follows the Rotary year, the deadline to file is 15 November. The form a club must file is dependent upon its gross receipts for the year. For more information, please see Frequently asked questions about annual reporting requirements for exempt organizations at www.irs.gov. It is important that your club comply with IRS requirements. Please note that Section 6033(j) of the Internal Revenue Code automatically revokes the exemption of any organization that fails to satisfy its filing requirement for three consecutive years. Frequently Asked Questions will answer many of the general questions you may have about Rotary clubs and the IRS. Please direct specific questions regarding your club’s tax-exempt status or reporting requirements to local counsel, your tax adviser, or the IRS at 877-829-5500. CLICK HERE to read the current or any past issue! The deadline for Community Service Grant applications to be RECEIVED is June 1, 2018.
Review information for this type of grant by clicking on THIS LINK to Community Service Grants. Clubs need to have attended a Grant Management Seminar and returned two required signed forms to the District Office. One Rotary Summit is facilitated, interactive and focused on goals that the clubs, the district and Rotary International are focused on. The Summit provides an opportunity, a forum, a platform for clubs of similar size to discuss methods to meet and/or exceed our goals. Come ready to discuss and learn more about Membership, The Rotary Foundation and Public Image to help you get the word out about the great aspects of Rotary! Every club should strive to have at least one or two members attend! Click below for details. Come to Pella for an evening of Rotary fellowship with Past Rotary International President, Ray Klinginsmith 2010-11! Enjoy dinner of ethnic specialties such as Dutch Spiced Beef, Pella Bologna with Gouda Cheese and Dutch Letter pastries and conversation with Ray and other Rotarians. There will be entertainment with Dutch singing and dancing by the Pella Dutchesses and Rotary wagon tours of Pella at the end of the evening. CLICK FOR DETAILS; REGISTER BY AUGUST 9! Join Past RI President Ray Klinginsmith (2010-11) and Rotarians from Iowa and the Northern Missouri Districts for a day at the Iowa State Fair on Thursday, August 17! Click HERE for the schedule of Rotary activities. You are invited to come and go as your schedule permits. Call the Rotary International Contact Center at 866-9ROTARY (866-976-8279) or email contact.center@rotary.org to check deadlines, forms, Foundation giving and recognition points. Presidents and Secretaries: Click here to find who assists you and all of the clubs in our district. WE ARE THIS CLOSE TO ENDING POLIO ! World Polio Day is October 24! Help your Rotary club get the word out to your community that Polio has not yet been eradicated BUT, "We are this close"! Plan an event to raise awareness and funds to help eradicate Polio!